Shark Week is back with a bite tomorrow night! We can’t get enough of these magnificent creatures and a whole week of sharks isn’t enough for us, so we trolled the Internet for some jaw-some shark stories and galleries to share with you. Another for the Bucket List! 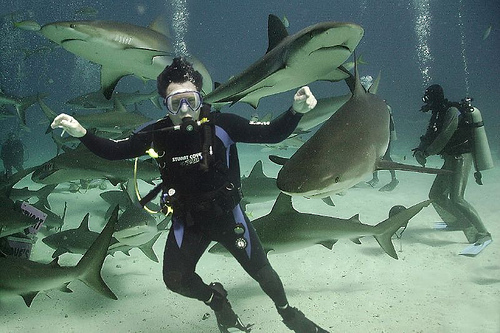 Ever wanted to get up close and personal with sharks? 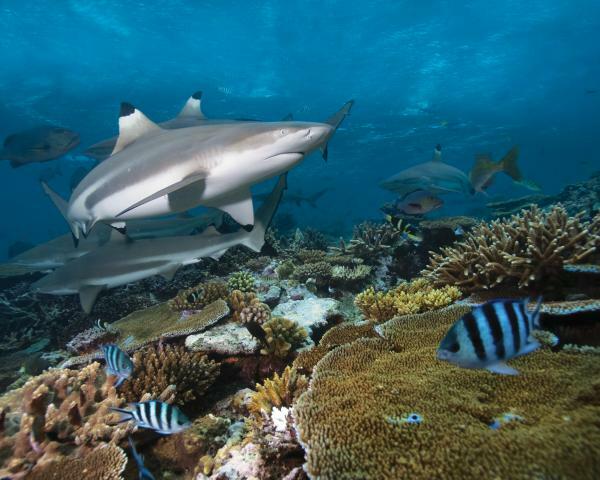 While it’s a nightmare for most, we’re first to jump into these Top 5 Destinations in the World for Diving with Sharks. From South Africa to the Bahamas, Noreen of aquaviews.com shares where you can swim with your favorite underwater predators. Too close? Consider getting CAGED! According to Terry Ward of scubadiving.com there’s nothing that gets your adrenaline going like being in the presence of a great white shark! There are only four places in the world where you can reliably get into the cage to dive with great white sharks and each one promises a very different experience. 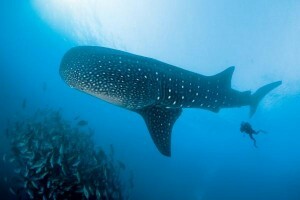 These sites also allow you to bring your non-diving friends or better half since they offer snorkel or hookah options. Click here to check out these 4 Places for Great White Shark Encounters. Alright, STILL too close for comfort? That’s okay; you can enjoy all the wondrous glory of these bad boys right from your laptop, in the safety of your own home. Click through for amazing underwater photography from scubadiving.com. From Hammerheads to Whale Sharks and Reef Sharks these astounding photos may entice your adventurous side enough to get you into the water with these guys! Lately there have been a lot of shark sightings off Cape Cod and Hollywood has taken action! The History Channel is set to film a reality show called Shark Wranglers. The show features Chris Fischer and his crew aim to track and understand great whites in all their glory. From feeding to breeding habits we hope they’re ready for the spotlight! Our only hope is for the safety of the sharks and of course the crew. But the camera captures everything and Fischer maintains that his methodology is safety. Click here to read more on Lisa DeCanio’s article courtesy of bostinno.com. Have your own jaw-some shark stories? Share them with us! 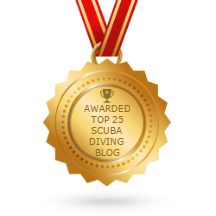 This entry was posted in Dive Travel, Marine Life, Scuba Diving, Scuba News/Events, Sharks, The Bucket List, Underwater Photography and tagged cage diving, Dive Bucket List, Diving, great white sharks, Scuba Diving, scubadiving.com, shark dives, shark week, Sharks, whale sharks. Bookmark the permalink.